at Stow Maries Aerodrome Vintage Fly In Day on May 8th. Stow Maries is the most exciting aviation heritage project of recent years. 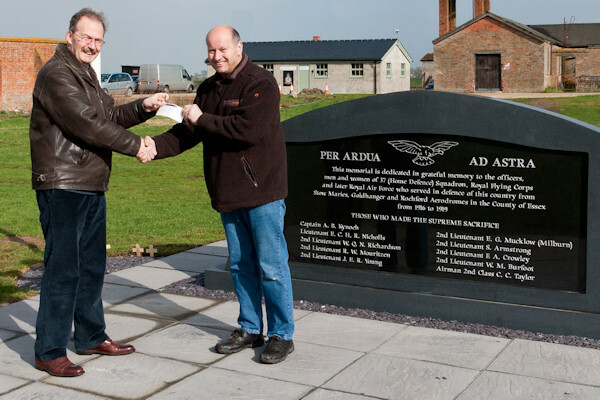 Slipstream Books are proud to announce that our publishers, Lucky Press, have contributed to the fund that aims to restore this time warp Royal Flying Corps aerodrome to the condition it was in when it served as part of the front line defence against the Zeppelins and Gotha bombers raiding England during World War One. The Vintage Fly In Day opens to the public at 9am. This is a pay at the gate event for the very reasonable price these days of £8 for adults and £4 for children under 16. Visit their website at www.stowmaries.com to see the impressive list of aircraft that will be visiting and the other attractions. Please come and support Stow Maries. You will find our stand near the flight line. You will be able to meet Chris Davey and buy all or any of the books in the series at a discount price for the day.